For the last few weeks, I have noticed (that) the question of the week in Sai Vichaar had to do with what is meditation, and what is the role of meditation in the path of devotion,Bhakti Marg. Rather than answering from my own writing abilities, or thoughts of the subject of meditation; mostly because it is an absolutely huge topic, and I am amazed that so many Sai Bhaktas didn’t immediately respond to such an important question, I have decided to use a practice, which I have been trained in, over the last thirty years, which is normally called channeling in the U.S.. This was taught and revealed to me by my first teacher nearly thirty years ago, and it is from this state, that I wish to answer the questions concerning meditation and the path of devotion. It is a form of meditation, and it is a form of dissolving my outer ego, and working from a deeper dimension of my personality. I request (the Grace of) the Supreme Datta Triad, Swami Samarth Baba of Akkalkot, Sai Baba of Shirdi, and my deep love to Sri Datta (Guru), Bhagawan Nityananda of Ganeshpuri, (all of) whose devotees are so closely united, as to form a very holy and ancient order of Sai worship. Without further ado, I will now go into meditation. I welcome you with all of my heart. Before I speak about meditation and the corresponding application to Bhakti Marg, I wish to speak a little about prayer, since it was a topic for the last two weeks in Sai Vichaar. It is not necessary to analyze (the) movements of their hearts when indulging in communications with their God. Does God not hear prayers? Does prayer and meditation have such a close affinity (with) each other, that indeed, the words are nearly synonymous? Prayer is healthy. Do not be afraid to pray to God, to send your love through prayer meditations to loved ones. There will be more to say about this subject in the future. Let us now go to the subject in question, at hand. Meditation simply means concentrating on an object, and through this concentration, the meditator and the object of meditation learn to join in the mind’s eye. Meditation is a source of Universal phenomenon. It is true meditation that (makes) flowers bloom, trees bud, celestial bodies travel around (each other) in mutual attraction. Meditation is the source of life for the mind’s eye. When we are attracted to a form of spirituality, concentration on the object of meditation and the meditator become one, in the mind’s eye. 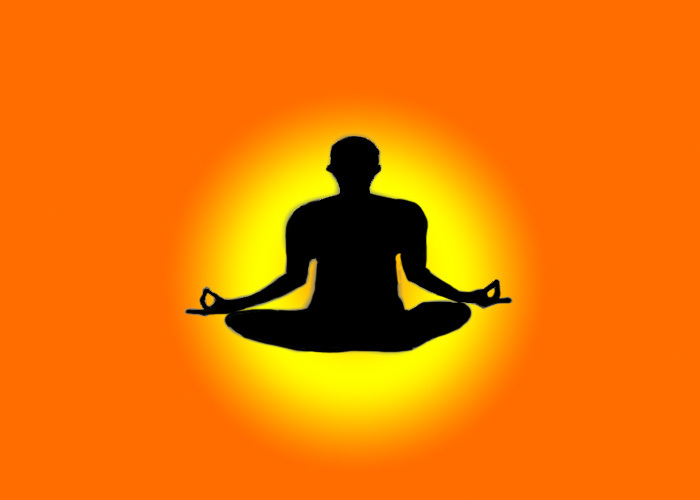 Gurus of the tradition of Sai Baba (of Shirdi) teach many forms of meditation. It is through Sai Baba’s Shakti that a meditator and the object of meditation become one, in the mind’s eye. God is the Light of the Self. He (She) flows through the heart of a devotee by meditating on their heart worship. Didn’t Sai Baba say that, if you wish to meditate, meditate on the Atman. If you cannot do this, then meditate on my form as you see here. When a meditator meditates on their object of desire, the mind’s eye learns to merge in that form. In the case of meditating on the form of Avatara Spirit Sai Baba: the Atman, the Inner Self, or God will unfold Itself. This, in effect, is Saguna-Nirguna Bhakti (meditation): meditating on the form of God, to eventually have the mind’s eye, in fact, be pierced by the Formless Reality. Do we remember stories of the great Bhaktas of Maharashtra, who through their love for Panduranga (a form of Krishna), had God (materialize), play, and rejoice with them? Do you think this is not possible (meditations) for Sai Bhaktas presently? I affirm the positive. Sai Baba (of Shirdi) lives now through meditation. Through prescribed meditations, one can learn to pierce the mind’s eye, and have God reveal himself as you. I thank you for taking the time to be with me. All the love that is mine to give. AUM SAI RAM!